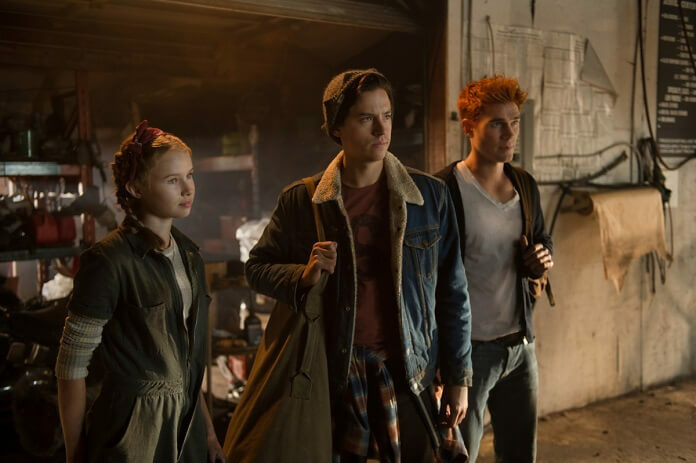 The CW’s Riverdale season three episode eight provides our first look at additional members of Jughead’s family. 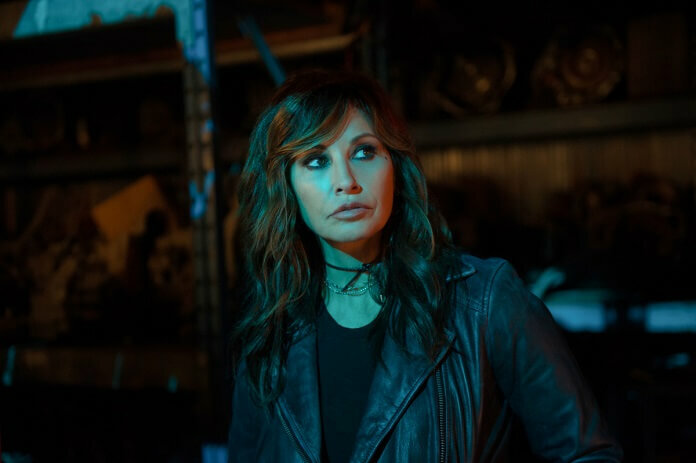 Gina Gershon guest stars as Jughead’s mom, Gladys, and Trinity Likins makes her debut as Jughead’s sister, Jellybean. 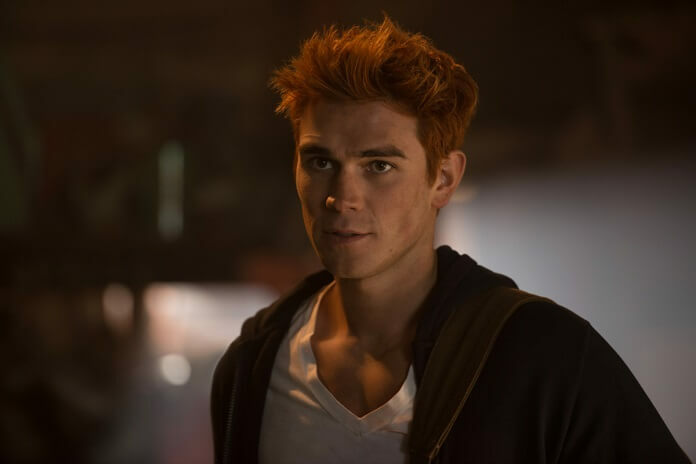 The episode titled “Outbreak” is set to air on December 12, 2018 at 8pm ET/PT. Season three episode eight was directed by John Kretchmer from a script by James DeWille. 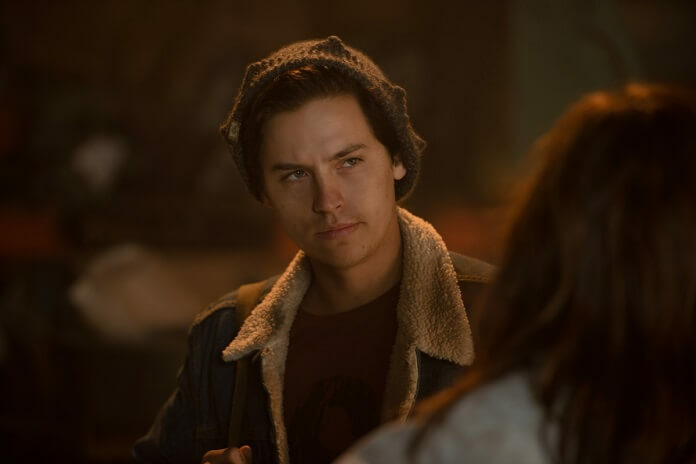 The “Chapter Forty-Three: Outbreak” Plot: GINA GERSHON GUEST STARS AS JUGHEAD’S MOTHER GLADYS JONES — On the road and running out of places to stay, Jughead (Sprouse) and Archie (Apa) head to Toledo to visit Jughead’s mother Gladys (guest star Gina Gershon) and sister Jellybean (guest star Trinity Likins). 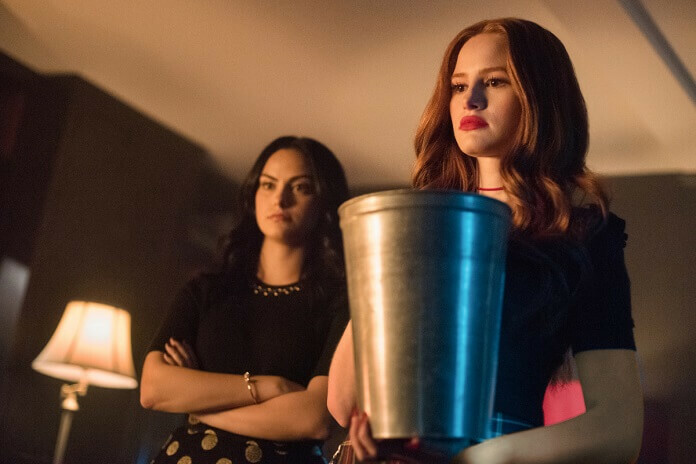 Back in Riverdale, Betty (Reinhart) inches closer to uncovering the truth about Griffins & Gargoyles, while Veronica (Mendes) and Cheryl (Petsch) take on Hiram (Consuelos), Hermoine (Nichols) and Penelope (guest star Nathalie Boltt) after more students fall victim to seizures.